Getting online traffic to your business website is crucial, but so is conversions! Getting online traffic to your business website is awesome, but if that incoming traffic doesn’t effectively convert into action, then it’s almost useless and a waste of time. Conversion rate is the portion of your visitors who convert on your offer. To increase eCommerce conversion rates, it’s important to know what strategies work with your audience and which don’t. When you have done everything in terms of creating your business website and everything related to online marketing, you will start getting traffic. However, that isn’t enough. You need to convert that online traffic into actual transactions. Internet businesses use many tactics to improve their eCommerce conversion rates because the higher the conversion rates, the greater is the return on investment. Some methods include the following. In the market of today, it’s absolutely essential to offer free shipping! Shoppers have now come to expect some specific service standard, largely from what they have been accustomed to from giants like Amazon. If you are not offering free shipping, they are likely to look elsewhere. Data shows that 47% of shoppers will abandon a cart when they discover free shipping is not part of the deal. That will obviously not do your conversions any good. Always remember that, in most cases, free shipping is a psychological game. If you need to, increase the prices of your products to cover the cost of shipping. A worthy marketing tactic is giving your customers limited coupon codes and discounts. Create coupon codes that can be used by customers at checkout for a limited time where they get a specific percentage off their purchase. Adding specific conditions allows your business to restrict when the discount can be applied. When they know your coupon code is going to expire, it brings a sense of urgency and they are more likely to go through and conclude the purchase without getting distracted. If your business has a price match guarantee, buyers will, in all likelihood assume you also maintain the best prices. That not only makes shopping easier but quicker for them. This means the customers are more likely to buy now rather than later, and they are also more likely to recall your site and come shopping again. If, after all, your business is promising the best prices out there, why would any buyer bother to even look elsewhere? Price matching guarantees have the potential of significantly lowering your bounce rate. Your business doesn’t have to be content with the current abandonment rates for you can do something about it. If, as part of your store checkout process, you collect email addresses then you have a chance of following them up via email. 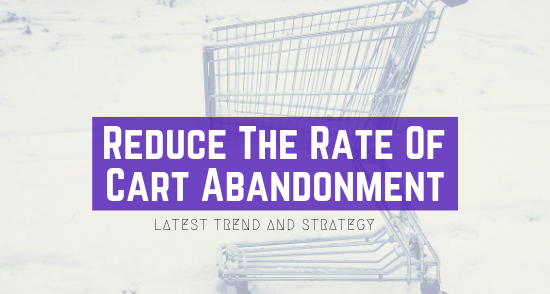 If your store is experiencing lots of abandoned carts – someone visits your site, places an item in his or her cart but then leaves – getting abandoned cart software could greatly help to boost your eCommerce conversion rates. You can, for example, offer free shipping to those who abandoned without completing the purchase or give an irresistible discount to those who have viewed a specific item several times without making a purchase. Live chats help in building personal connections between your business and your customers. Many people simply don’t like making phone calls. While email is great, often, it takes a couple of business hours or a few days to get a response. When users want to know something about a service or product, live chat offers the best and easiest ways of doing that. With live chat, online customers can type a quick message and you can answer them almost instantly. If they can directly reach you for a personalized response, your customers will automatically develop a bias towards you. 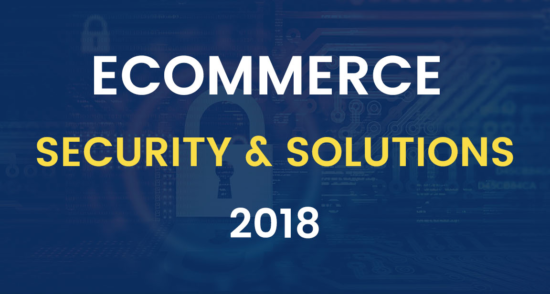 Let your customers know your online store is safe because that is a really big concern for many. Your website needs to build a certain level of confidence and trust in the shortest time possible for customers willing to enter their credit card information. At the checkout, install SSL and if possible, on the whole site. Show images of PayPal, major credit cards, and other payment alternatives as visual signals that your site is using customer-trust payment options. This ensures your clients that their confidential information will be protected. Consider providing guarantees and refund policies as they also help in building consumer trust in your services or product. Do everything possible towards making doing business with you not just profitable but as easy as possible. Site users should not have to struggle figuring out where to click or how to buy something from you. It should be self-evident and intuitive. Simply don’t overwhelm users with lots of options as that will affect their ability in terms of making up a decision. If your checkout process is unconventional, too complicated and long, you could end up losing many buyers who simply leave. Simplify the checkout process down to the essentials: contact information, product requirements, payment information, and shipping details. Product descriptions matter a lot. The best and most effective sales copy that boosts your conversion rate is not the one laced with hype. Product descriptions are there to provide the customer information and value that helps them make an informed decision. For that, you need to list all the benefits of your product or service with less focus on product features. The major downside of doing online business is that the customer cannot touch or see your product physically. Only list those features that are important to the potential user, those that set your products or service apart from your rivals. Most importantly, don’t copy descriptions from the product manufacturer. This will be shooting down your SEO efforts and fails to bring out the difference between you and the rest. There’s absolutely no doubt that product reviews are very influential in terms of helping buyers to make decisions, 88% of respondents’ buying decisions are influenced by reviews. Depending on your eCommerce platform, you have probably built in reviews. If you haven’t, consider grabbing reviews from some of your customers and inserting them into your business website as quoted testimonials. Today consumers rely on social networks for reviews, advice, and referrals. They also expect you to be available for questions on social platforms like Twitter and Facebook. They seek “how-tos” and look for tutorials on YouTube and Pinterest. Social proof and testimonials put your consumers at ease. Testimonials build loyalty and trust. Could your mobile conversion rate be lagging behind the numbers you are getting from desktop computers? This is a growing market segment you simply cannot afford to ignore and whose numbers are increasing daily. Mobile has become a principal channel that people are using to research products and services. According to recent research, 79% of social media time and 70% of media time is happening on mobile devices. With more people preferring mobile devices over desktops, it becomes essential for you to future-proof your marketing strategy if you are to boost mobile eCommerce conversion rates. For each of your pages, you need to ask yourself what kind of action you need the reader to take. Do you want them to call for an appointment, watch a video, complete a contact form, or download a paper? Once you have decided what you want visitors to do, add a clear and prominently displayed Call-to-Action. Clearly let your readers know exactly where you want them to go next. And don’t rely on text links as your CTA. The CTA must clearly stand out, with big and bright colors. If you are in real estate it’s all about location, location, location. For conversion optimization, it becomes testing, testing, testing! The best way of mitigating risk in decision making at the same time allowing the creative team space to innovate and explore new opportunities is through experimentation. Testing must be a continuous process. As soon as something begins to click, try building on that and also test something else. The goal should be to have at least one, and preferably a number of A/B tests running simultaneously on your site. When it comes to online marketing, product design or website there’s nothing like “perfect”, and the only proven way of learning what works and what doesn’t is to keep on testing. Multivariate testing is similar to A/B testing. However, in multivariate testing, several variables that make up your website sales get tested. This is helpful in determining the positive and negative impact of each of the elements. This allows you to see which are causing a negative or positive impact to help you with website optimization for better eCommerce conversion rates. A conversion doesn’t happen just like that, your business needs to take concrete steps to optimize for it. It is absolutely crucial to increase your conversion rate for it forms the foundation of bigger sales. For that, you need to fully understand your end goal so that it becomes possible to accurately define your strategies and align them with your business goals. No matter which methods you adopt from the above, always ensure you keep on testing their impact to make sure that your eCommerce conversions rates are actually changing positively.